Some of our favourite local chefs, producers and all-round foodies recommend their pick of the best restaurants in Devon. Although the cream tea may be Devon's most famous culinary output (cream first, of course), there is an incredible restaurant scene in the county. We quizzed our favourite chefs and producers about their favourite places to eat to bring you this guide of tried and tested restaurants. From the culinary innovation of two Michelin-starred Gidleigh Park to some incredible Indian cuisine in Paignton, Devon has something for everyone. To say The Seahorse is a seafood-lovers dream is an understatement, serving up the best of locally-landed seafood to create gorgeous dishes infused with Mediterranean flavours (think Scallops roasted in the shell with white port and garlic to start, followed by Steak of monkfish grilled over the fire with savoury and salsa rossa), as well as whole cooked market fish to share with a lucky loved one. They also offer a ‘Local’s Menu’ pre-7pm for those who want to sample some spectacular seafood delights without splashing out too much cash. Loxton’s restaurant at The Deer Park is a fantastic, serving everything from afternoon tea to Sunday lunch. The two AA Rosette spot embraces Devon produce, sourcing lots of herbs from their own kitchen garden to serve up exciting dishes like pan-seared scallops, roasted cauliflower purée and raisins, and braised belly pork with boudin noir fritters, spiced carrot purée and garden carrots. There’s also a new wood-fired pizza oven for alfresco summer dining. Under the stewardship of new executive chef Michael Wignall, Gidleigh Park has retained its two Michelin stars, and continues to be one of the UK’s must-visit restaurants. 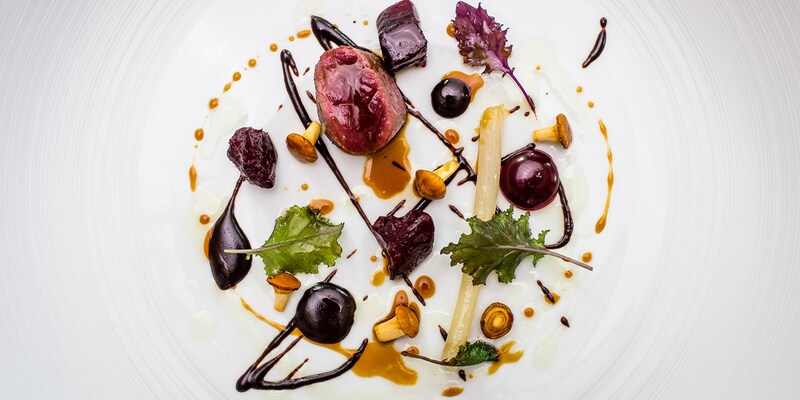 Michael’s bold, technical style is a perfect match for the beautiful produce of Devon – his seasonal tasting menu is very special indeed – and the cellar holds over 13,000 different wines from around the globe, enough to satisfy any wine connoisseur. Look out for dishes peppered with ingredients from Michael's spectacular kitchen garden, including exotic treats like fresh yuzu. 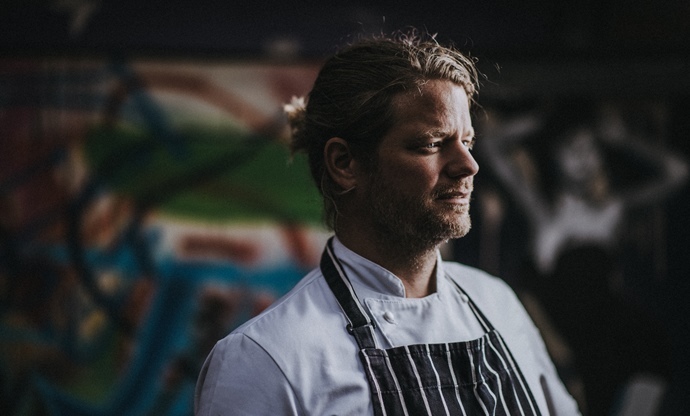 Having spent years working with the likes of Nathan Outlaw and Michael Caines, Thomas Carr struck out on his own in 2014 and has already been awarded a Michelin star in last year’s awards. Classic flavour combinations rule at The Olive Room, and he makes particularly good use of his place on the coast, with cured salmon, scallops, mackerel, bream and brill all currently on the à la carte menu. 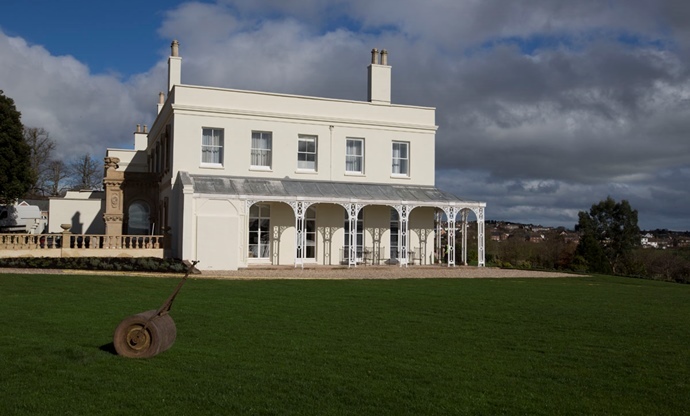 After over twenty years at the helm, Michael Caines left Gidleigh Park at the beginning of last year for a new challenge, namely, Lympstone Manor – a historic Georgian mansion overlooking the Exe Estuary. With Michael in the kitchen and the bountiful produce of the estuary just outside, there can be no questions about the quality of food on offer, and there’s a sizeable wine list too, including Michael’s own bespoke Champagne. 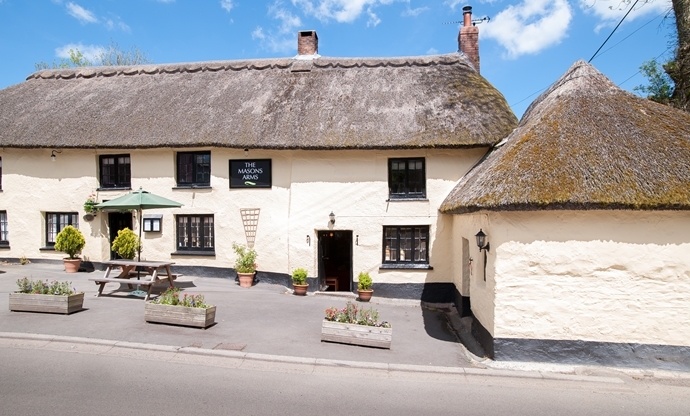 If you’re on the Plymouth side of Dartmoor, set your destination for the little village of Sparkwell, and the Treby Arms. ‘We are just the middle men for world-class ingredients’ says new head chef Luke Fearon, and his masterful seasonal menus live up to that mission statement, as does his extensive snack menu on the bar, which has everything you could ever want, from a plate of duck hearts to a pickled onion for 50p. It only took Mark Dodson one year to win a Michelin star at The Mason’s Arms, and he’s held onto the award ever since – eleven years and counting. As a chef with a pedigree from The Waterside Inn in Bray, Mark is a master of classical flavours and techniques, and that makes for brilliant pub food that sits nicely alongside a hefty wine list, as well as a solid selection of local ales. The Curator Kitchen is a self-billed ‘modern osteria’ in quirky Totnes, the kind of Italian restaurant you’d dream of having nearby. Perfectly cooked fresh pasta, a range of traditional antipasti and wholesome mains using local ingredients are all to be expected on the small, daily-changing menu. 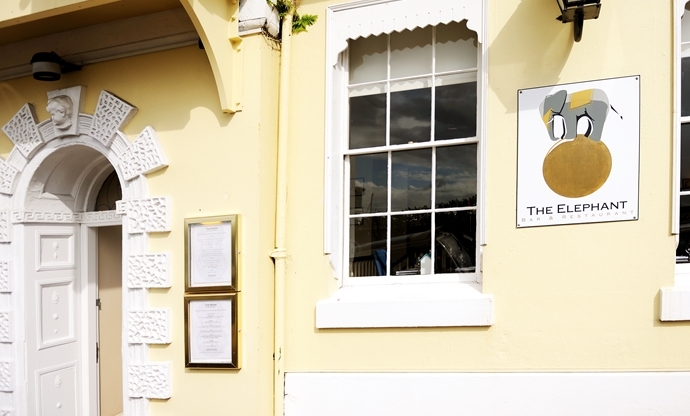 There’s also a cafe downstairs that many consider to be one of the best in Totnes. Great Asian food is not as common in the countryside as it is in major cities, but if you happen to be in Paignton, East in the West is a gem worth visiting. Executive Chef Dinesh Kadamatt is from Kerala, but his menu travels all over India, delivering authentic but modern Indian food, all without the gratuitous oil slick of your standard Indian takeaway. Tucked away in the sleepy surfing village of Woolacombe, Noel Corston's ten-seater restaurant is one of Devon's most exciting hidden gems. With a focus on giving people a taste of the local area – as well as some eclectic influences from afar – this tiny restaurant offers one of Devon's most intriguing dining experiences. Have we missed your favourite local eatery from our list? Let us know in the comments below. Thanks to Michael Wignall, Simon Hulstone, Eversfield Organic and Manna From Devon Cookery School for your excellent recommendations.